Key partner in assisting its customers with their logistics requirements. 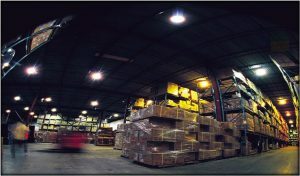 DGN has been a key partner in assisting its customers with their logistics requirements for decades. 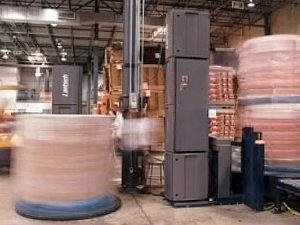 Over that timeframe we have successfully played a part in numerous challenging distributions and product launches, last-minute collations and rush order fulfillment. Our commitment to our customers remains as strong today as it was at the outset – and our capabilities even stronger. 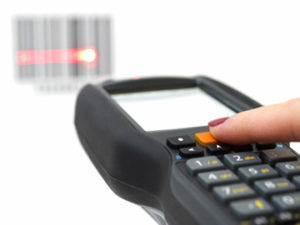 All is connected through our warehouse management system. 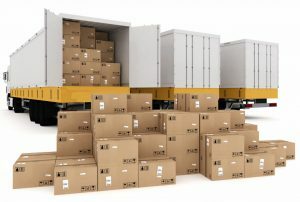 DGN has extensive experience in dealing with every conceivable variation of daily order service level.From sample fulfillment or small packages through LTL retail orders. From same day shipping of orders to tradeshow appointment coordination…to DTS order schedules or orders that are held for weeks at a time and released in special promotion or distribution batches – DGN can respond to all requirements. Shipment data is shared with major transportation carriers, enabling visibility of shipment status through notifications and our web systems. Multi-destination distributions can be managed effectively, pulling data from either client or DGN systems. Whether dozens or thousands of shipments are involved, each can be custom-picked and shipped to meet product or campaign launch schedules. Where input is coming from multiple client contacts, DGN will act as the consolidation hub, enabling cost reduction through increased efficiencies. Ample space and multiple production lines allow for significant production capacity. Kitting and collation can involve anything where manual component packaging is required, with semi-automated machinery to aid in efficiency. This can be comprised of uniform allocations, poster or premium kits, launch packages, product binders…the list is almost as endless as our customers’ creativity. From on-pack offers to stamping books, assorted product rework to assembling & loading displays – we’ve played an important role in bringing many of our customers’ retail campaigns and product launches to market. 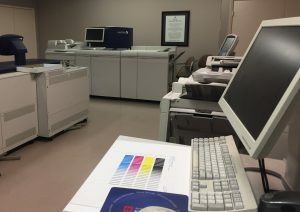 DGN’s In-house digital print facility is postured for smaller volume, rapid turnaround projects. Items can be routed from customer desktops to our distribution lines in a matter of hours. Print-on-demand files can be stored and printed as needed, providing an expedient and cost-effective means of updating printed material. Comprehensive on-site bindery services include shrink-wrapping, drilling, trimming, folding, various forms of binding…allowing for complete control of print projects.